Are you sick and tired of iPhone users taunting you with taco emoji that don't render correctly on your Android device? Well, salvation is just around the corner. 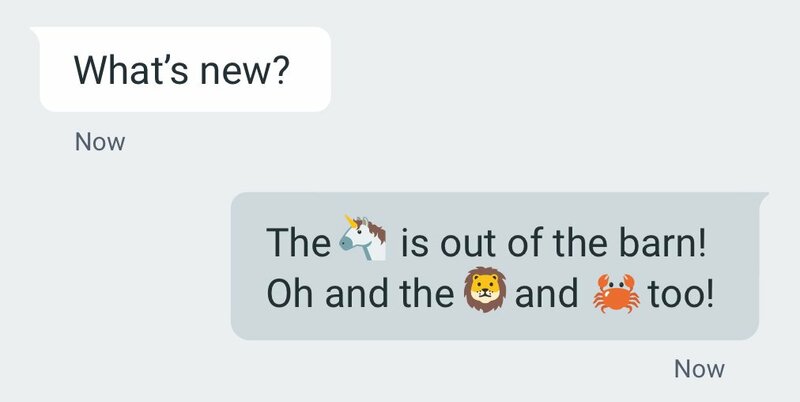 Google's Android SVP Hiroshi Lockheimer tweeted that the new emoji are coming next week! Yay... oh... to Nexus devices. Sorry, everyone else. New emoji require a system update, so that means an OTA is happening, and it may be 6.0.1. We already know that 6.0.1 has started popping up on Android One phones, but Google hasn't officially said anything yet. Even in announcing the emoji update, Lockheimer isn't giving away any details. Since emoji are a system font, they require a full system update. The necessary details have been shared with OEMs, but they handle their own update schedules. Thus, Nexus phones next week and everyone else whenever. The internet erupted in fake outrage several weeks ago when an iOS update added a ton of emoji, including the fabled taco, a unicorn, and the middle finger. Android users felt left out by the lacking emoji support, and Lockheimer pledged to make it right. Hopefully this update will be more than some emoji, but it would be pretty funny if that really was it.